Pore over the tapestries and works of art hanging from our walls if you wish, Child of Bhaal… perhaps you will find a clue. But patience, ah… patience would reveal it all. Take heart fellow adventurers, for you have curried the favor of Boo, the only miniature giant space hamster in the Realm! I can teach you how to use your wrath. So, what does that tell us? Well, the Infinity Engine (which the shadowy figure is attempting to resurrect) was the engine behind most of BioWare’s early successes, including the Baldur’s Gate series, the Icewind Dale series and Planescape : Torment. 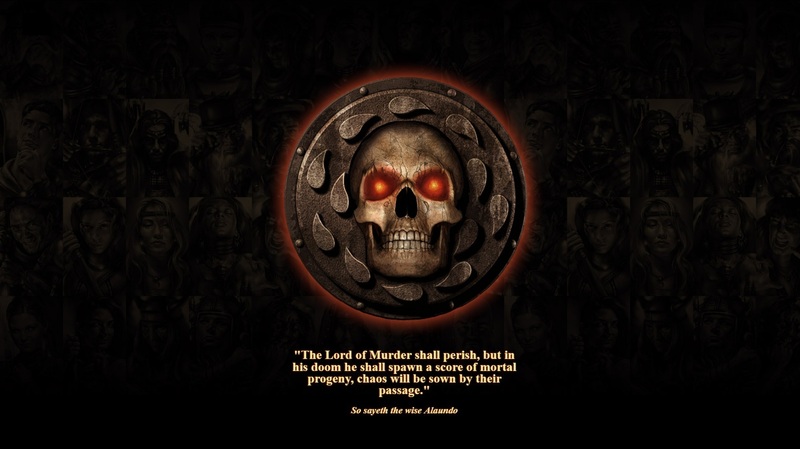 Child of Bhaal refers to the protagonist of the Baldur’s Gate games. “I can teach you how to use your wrath” sounds Vader-esque, but it’s actually a line spoken by Sarevok – the villain of the first game. And Boo? Well, that’s…harder to explain. As things stand, my money’s on options 2 & 3. As much as I’d like a new Baldur’s Gate, I don’t think that this is it. The combination of the music, the portraits and that quote of Sarevok’s makes me reasonably sure that this is something to do with the original Baldur’s Gate. Whether it’s a port to mobile platforms or a HD remake, I’d welcome it; either way, one of the most venerated game series around is suddenly accessible to a whole new audience. And who knows? This might just open the door for Baldur’s Gate 3. Posted on March 2, 2012, in News and tagged Baldur's Gate, BioWare, D&D, PC, RPG. Bookmark the permalink. 2 Comments. It is, indeed! And that’s a good thing too – while it would’ve been interesting to see how it worked on a touchscreen, I’d much rather have a proper, fully-fledged remake (well, if I can’t have BG3).